The FROG Conservation Project is a partnership dedicated to saving the wildlife and habitat of Cienega Creek and surrounding areas. Species dependent on wetland habitat are being threatened by non-native invaders like bullfrogs, mosquitofish and crayfish. By ridding the valley of these threats and enhancing existing habitat, we hope to recover populations of threatened native fish and leopard frogs. By increasing the numbers of these animals, we believe many other plants and animals will benefit, contributing to the health of the entire Cienega Creek ecosystem. But we can't do it without your help. 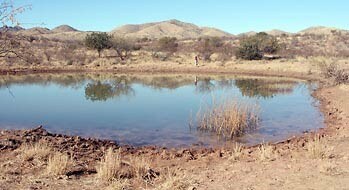 Create new leopard frog breeding populations in the upper watershed of Cienega Creek. Elimination of non-native aquatic species that threaten native plants and animals of upper Cienega Creek. Engage community in research and monitoring, and to support native species recovery. 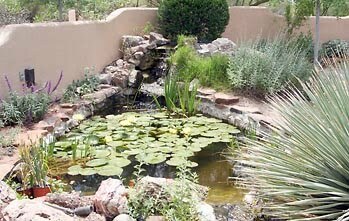 We want to communicate and cooperate with anyone that has a permanent pond or spring on their property. We want to document what species are currently there and offer help with any species the landowner would like to attract or eliminate. 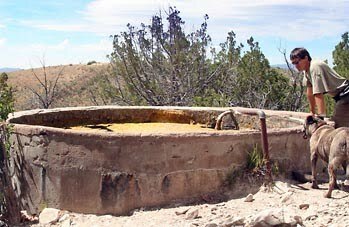 Studies have documented a direct correlation between ground water pumping and the amount of water that flows in springs and streams lower in a valley. Wells miles away could intercept ground water before it can reach the creek. Partnering with ranchers and land managers at Las Cienegas National Conservation Area, we helped convert livestock waters at key locations to wildlife habitats. What is the Upper Cienega Creek Watershed? 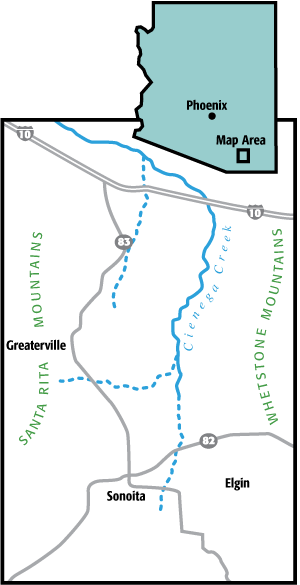 The upper Cienega Creek Watershed is the basin bounded by the Whetstone Mountains to the east, the Santa Rita Mountains to the west, the Canelo Hills to the south, and I-10 to the north. Water drains from these mountains toward the Cienega Creek valley and springs forth out in the valley. The upper elevations of the watershed include pine-oak and ponderosa pine forests in the Coronado National Forest, while lower elevations have magnificent saguaros, desert scrub, rolling grasslands, oak-studded hills, and the lush riparian ribbon along Cienega Creek. The upper Cienega Creek watershed is predominately Federal and State Trust land with areas of private land. Building a Metapopulation Connectivity between frog populations and buffering against invasive species. Man-made wet spots come in many shapes and sizes, from livestock waters to backyard landscape features. Some harbor invasive species that threaten wildlife; others harbor endangered species, contributing toward the recovery of these unique natives.